MANILA, Philippines - Acrobatic dancesport duo Power Duo and magician Ody Sto. Domingo advanced to the grand finals of Pilipinas Got Talent (PGT) Season 5 as announced during the fourth weekly results night on Sunday, May 1, 2016. Angono's pride Power Duo who wowed the judges on their breath-taking performance got the highest percentage of votes, a whooping 57.38%, automatically sending them to the grand finals. Magician Ody Sto. Domingo managed to survive the deadlock against dance group DMX Comvalenoz. Judges Freddie M. Garcia and Robin Padilla picked DMX Comvalenoz while judges Vice Ganda and Angel Locsin chose Sto. Domingo. Based on the PGT rules, in case of tied judges' votes, public voting result will prevail. Sto. Domingo got 30.41% while DMX Comvalenoz received 7.76% of votes. Power Duo and Ody Sto. Domingo also bested other semi-finalists Kundiman singer Francis Anne Virtudazo (1,29%), arnis performers M.A.T.T.I. (1.11%), and acoustic trio The Raes (2.06%). Power Duo and Ody Sto. Domingo joined the roster of grand finalists of PGT Season 5 which also includes Next Option, Sto. Tomas Bulilit Generation, Amazing Pyra, Crossover Family, Mastermind and UA Mindanao. Hosted by Luis Manzano and Billy Crawford, "Pilipinas Got Talent" airs Saturdays after "Home Sweetie Home" and Sundays after "Wansapanataym." 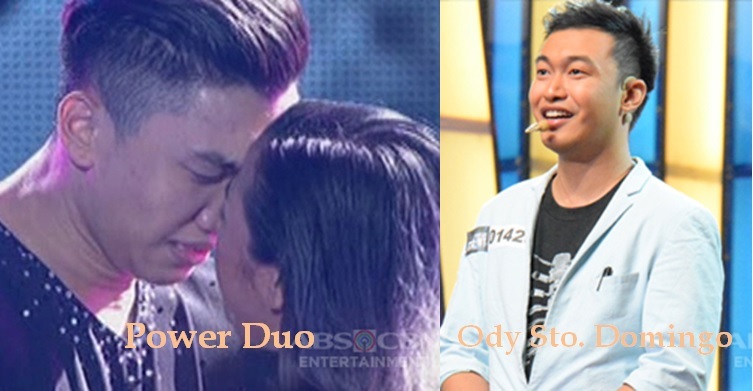 Do you agree with the results of fourth PGT 5 semi-finals week?